Nvidia has made a new driver set available. The new GeForce Game Ready 385.69 WHQL drivers are delivered with more optimisations than usual, Nvidia claims nine new games will benefit from the "fastest, smoothest experience," if you go ahead and download this software. 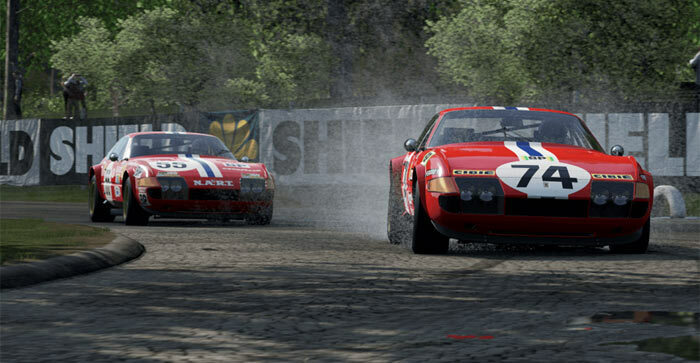 The Project Cars series is well known for dazzling graphics and working hand in hand with Nvidia on the second major outing for this game, developers Slightly Mad Studios have gone even further. A separate new article on geforce.com discusses Project Cars 2 on PC and its support for 4K, 12K, GameStream, HDR and VR. In the game you will likely be impressed by the 20 additional fully scanned track options (compared to previous game), with over 60 locations, and there are 130 tracks in total available. As well as the above gaming optimisation Nvidia has added or updated SLI profiles for Dishonored: Death of the Outsider, Fortnite, JX3 Online, Project CARS 2, Raiders of the broken planet, and Total War: WARHAMMER II. There are good 3D Vision profiles for Project CARS 2, and the Call of Duty: WWII open beta too. If you look through the release notes (PDF) you will find a lengthy list of fixed issues delivered in 385.69 WHQL. Several of the patched up issues are for poor/flickering performance on laptops equipped with Optimus switching graphics. As usual you can search for the latest driver for your graphics card via the dedicated downloads page or leave it up to the GeForce Experience app (which popped up an alert on my desktop system about 30 minutes ago). In another post on the GeForce blog, Nvidia reveals a GeForce-Exclusive 4K PC Gameplay Trailer for Need for Speed Payback. At the same place you can ponder over the minimum and recommended system requirements for this upcoming racing game from EA / Ghost Games. The new need for speed looks like a forza killer. Is it me or does that NFS look..old ? The models look so bland, like they're from a few years ago. I still play GRID autosport now and again, and it looks tons better than that. EDIT: Also at the 45s bit going through the tunnel, that FPS drops right ?